The mission of the Trumbull Housing Authority is to develop and manage safe, quality, affordable housing for low-income seniors and persons with disabilities. This is done in a manner that promotes citizenship, community and self-reliance. The THA is committed to the safety and well-being of the residents of Stern Village. We provide a better quality of life by creating a positive, supportive environment and we encourage independence. We offer many activities that promote social interaction in our vibrant community. -Foster an environment that encourages collaboration and honest feedback. -Provide essential services to residents, while maintaining a high-level of satisfaction and high quality standards, sustainability, and fiscal responsibility. -Procure funding to address our many capital improvement needs and revitalization plan. -Dedicated to helping and serving individuals 62 years of age and older, and individuals 18 years of age and older with disabilities. -Expect respect for, by, and among all residents and staff. -Encourage honesty, fairness, integrity, and open communication. -Treat all residents equally and respond to residents’ needs in a timely manner. -Understanding the meaning and importance of independence, dignity and quality of life. 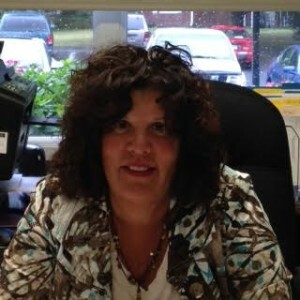 I’m Harriet Polansky, Executive Director of the Trumbull Housing Authority, welcoming you to our website filled with everything you should know about our caring community. Stern Village is “The Jewel of Trumbull”. We provide safe, sanitary and affordable housing and our residents are part of a vibrant and active community. I am proud to be part of Stern Village’s community of energetic residents, who participate in our many activities, volunteer their time to help run events, watch over our village, and lend a helping hand to their neighbors. Every day I observe a cherished sense of belonging and togetherness. This sense of community represents the lifeline of what makes Stern Village a great place to live. I urge you to get to know us. You can contact me at harriet@sternvillage.com or call 203-261-5740 x 3.